Friday, March 23, 2018, Reymart “GenSan Assassin” Gaballo (18-0, 15 KOs), of General Santos City, Philippines, claimed the WBA Interim World Bantamweight Championship with a unanimous decision victory over Stephon “Showstopper” Young (17-1-3, 7 KOs), of St. Louis, Missouri, in a twelve-round skirmish at the Seminole Hard Rock Hotel and Casino in Hollywood, FL. In the days leading to the event, Young told media that be believed Gaballo was not ready to fight someone of his level. Gaballo disagreed, proven by his third-round knockdown during which he appeared to have hurt his American opponent. Similarly disagreeing with Young’s pre-fight warnings were the judges at ringside. Their 118-109, 117-110, and 117-110 scorecards show the Philippine pugilist would have won unanimously even without the knockdown. Regardless of the early knockdown and being bested by a tough opponent, the Missouri native did fight with bravery and tenacity through all twelve rounds. 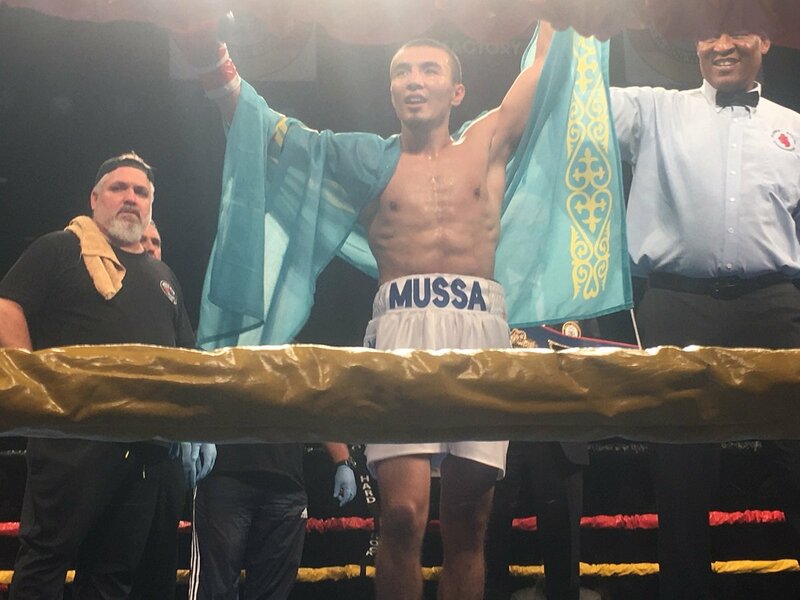 Kazakhstan-born Mussa Tursyngaliyev (8-0, 7 Kos) had the most dominant performance of the evening in his U.S. debut overwhelming fellow featherweight Luis Hinojosa (34-14, 18 KOs), a nine-year veteran of the sweet science. The Kazak combatant set the tone early with hard, accurate punches resulting in a third-round stoppage. Perhaps the most well-matched and entertaining bout of the evening was a six-round Super Bantamweight battle between Jessy Cruz (13-6-1, 5 Kos), of Miami, FL, and Sam Rodriguez (4-4, 3 KOs), of Palm Bay, FL. Thick and muscular while remaining under 157 pounds, both fighters stood at 5’4” and neither appeared taller that the top rope surrounding the ring. Once the bell rang, they fought like warriors to a unanimous but thin decision for Cruz. Also on the card was the professional debut of Roberto Duran Jr. (1-0), son of Hall-of Famer and previous Ring Magazine “Fighter of the Decade” Roberto Duran Sr. Duran Jr., fighting out of Ft. Lauderdale, FL, won the Welterweight contest by TKO against another first-time-fighter, Miguel Morales (0-1) of Orlando, FL. Bill Barner is a former certified “USA Boxing” Judge, Referee, and Trainer. He is a former sparring partner for several amateur and professional fighters and currently practices criminal and immigration law in South Florida for Barner Legal PA. He has appeared in The Ring Magazine, Bleacher Report, VOICE Magazine, Youngstown Vindicator, Florida Defender, Westside Gazette, USABF, and is a regular contributor to East Side Boxing. He can be reached at barner@barnerlegal.com or on twitter @BarnerBill.